G4BOX Inc., a Toronto-based publisher and distributor of interactive online entertainment media, released today an update for its free-to-play military shooter, Cross Fire. The free update features a brand new map for its exclusive Ghost Mode, Nightfall GM and a variety of new weapons and items. Current players can download the update automatically upon launching Cross Fire. The new map “Nightfall” puts players in an urban environment at night. They must use their stealth abilities this Ghost Mode map to defeat their opponents and claim victory. 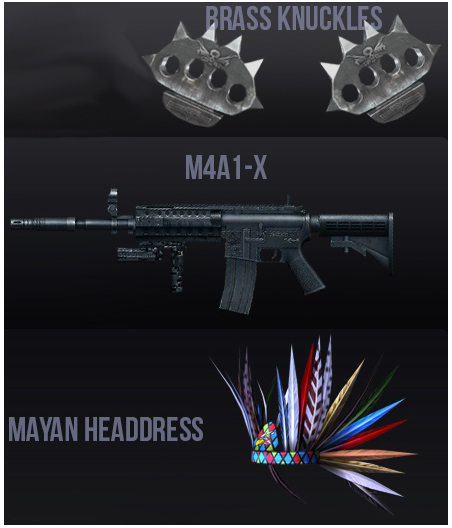 This update also brings another melee weapon, BrassKnuckles as well as a new M4A1-X rifle. To mark the release of this new update, Z8Games has challenged all players in the game to collect as many frags (in game score) as possible. If all players across all servers break the 100,000,000 frag mark then everyone will win an exclusive Nightfall Ribbon! For a full rundown of the content in the May Update as well as the full details of patch events and prizes, visit the official update page. Cross Fire is a free online military first-person shooter for the PC platform. It includes a military ranking system, in-game friends lists, an integrated clan system, deep character customization options and social media integration via the Cross Fire website. More MAPS. More GUNS. More MODES. More HEADSHOTS. Join millions of players online today in the ultimate military FPS experience. This entry was posted on Friday, May 18th, 2012 at 10:47 am and is filed under National News, New Releases, Shooters, Teen. You can follow any responses to this entry through the RSS 2.0 feed. You can leave a response, or trackback from your own site.